Check out my new blog, STUCK, launched 3/10/17. I will be spending the month of July 2017 as a fellow at the Arteles Creative Residency Center in Finland. Thermals, my work for saxophone quartet, is available for download here. 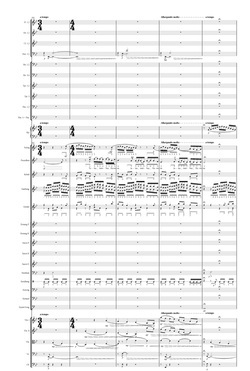 It was commissioned by Angela Space for the Pioneer Saxophone Quartet, and received its world premiere at the 2012 World Sax Congress in St. Andrews, Scotland on July 12, 2012. A recording of the premiere performance is available here. My interfaith anthem, Attend to the Musick Divine, is available for download here. The Huntingdon Presbyterian Church Chancel Choir premiered the new anthem on Palm Sunday, April 1, 2012, at the Huntingdon Presbyterian Church, Huntingdon, PA. You can listen to a MIDI rendition of the new work on the Listen page. Editorial Boileau of Barcelona, Spain, has released a new edition of my klezmer-inspired violin and piano duo The Devil's Tail (which won the 2008 Frederic Mompou International Award from Joventuts Musicals de Barcelona).